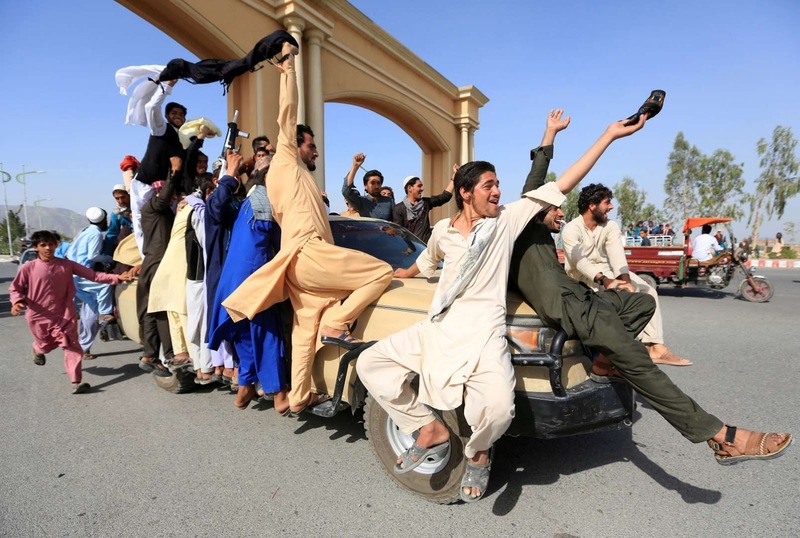 People celebrate ceasefire in Rodat district of Nangarhar province, Afghanistan. 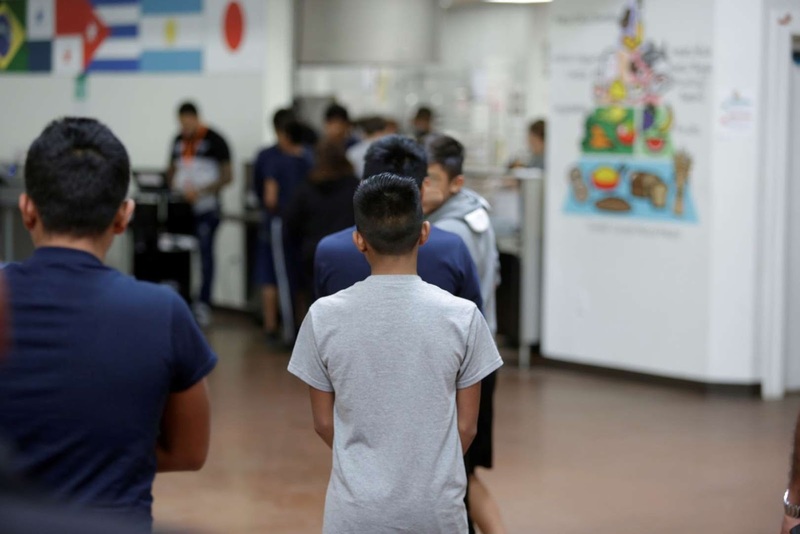 Occupants at Casa Padre, an immigrant shelter for unaccompanied minors, in Brownsville, Texas. 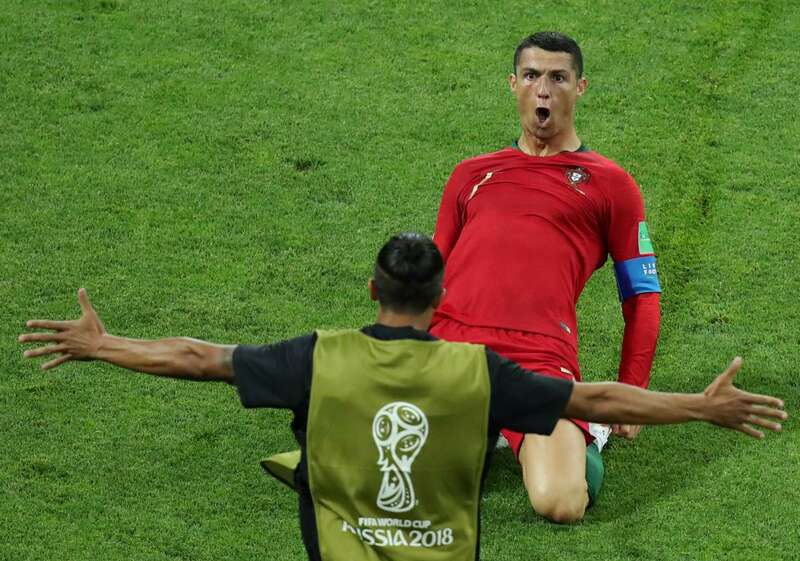 Mexico's Hirving Lozano celebrates scoring their first goal with Jesus Gallardo against Germany. 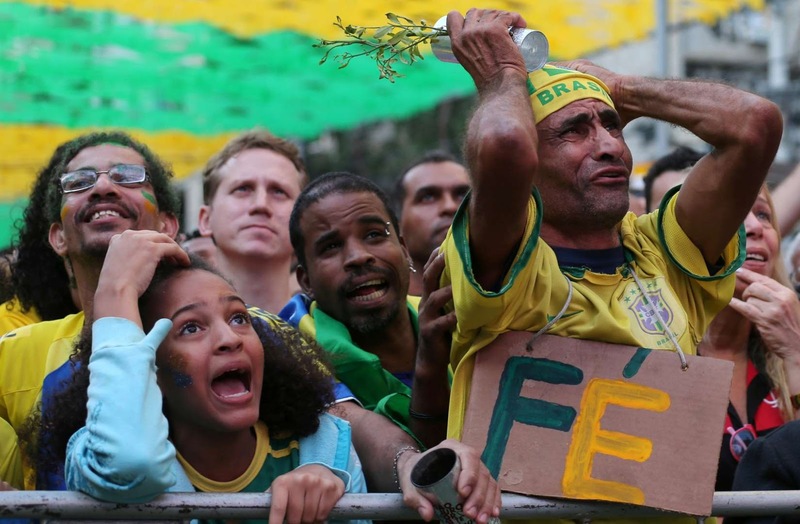 Fans react as they watch the broadcast of the FIFA World Cup Group E soccer match between Brazil and Switzerland, in Rio de Janeiro, Brazil. 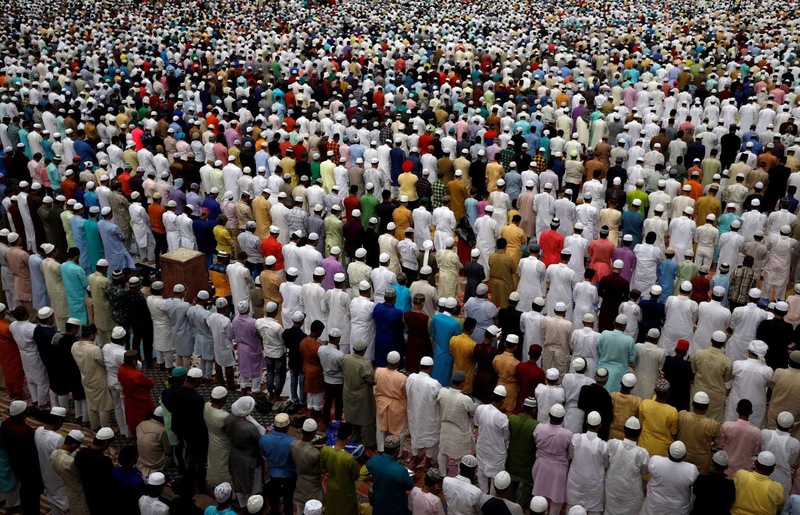 Men offer Eid al-Fitr prayers marking the end of the holy fasting month Ramadan at Jama Masjid (Grand Mosque) in the old quarters of Delhi, India. People enjoy themselves along the shore of the Mediterranean Sea during the Muslim holiday of Eid al-Fitr at a beach in Tel Aviv, Israel. 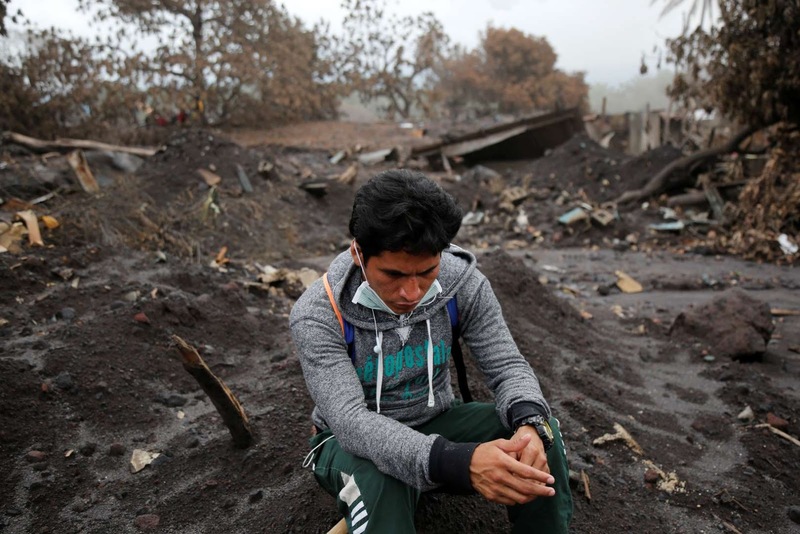 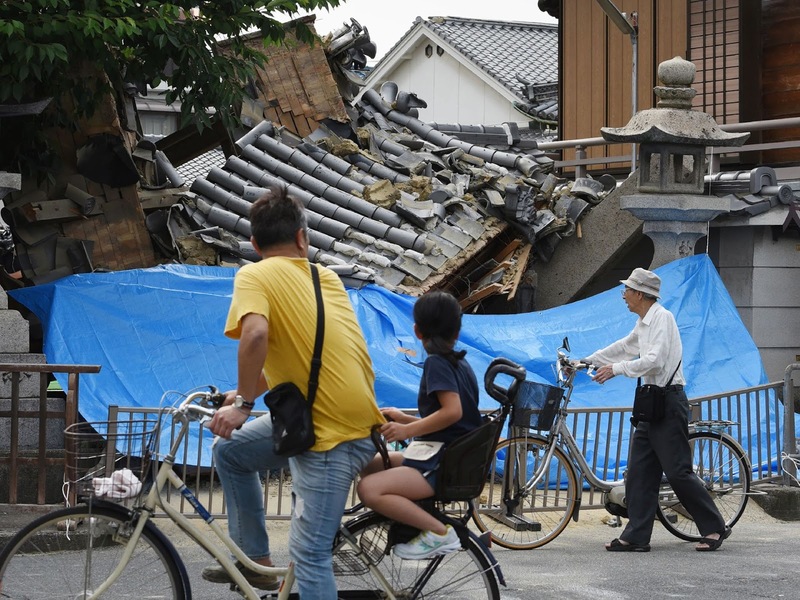 A resident sits on the rubble as people continue to search for remains of victims after the eruption of the Fuego volcano at San Miguel Los Lotes in Escuintla, Guatemala. 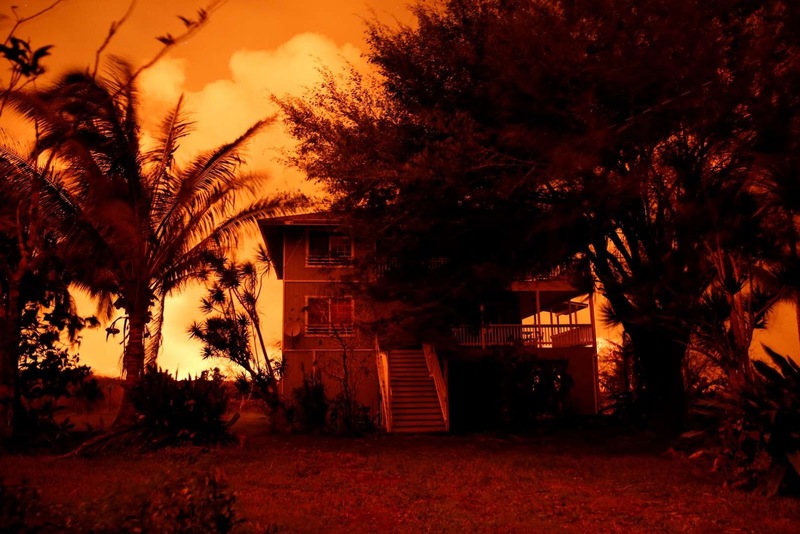 Lava illuminates an evacuated house on the outskirts of Pahoa during ongoing eruptions of the Kilauea Volcano in Hawaii. Croatia's Luka Modric celebrates with team mates after scoring their second goal against Nigeria. 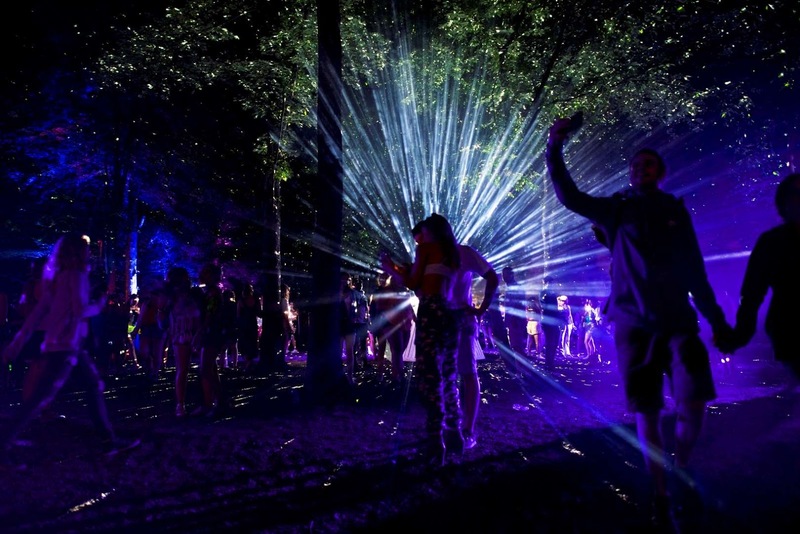 Revelers walk through the concert grounds on the second day of the Firefly Music Festival in Dover, Delaware. 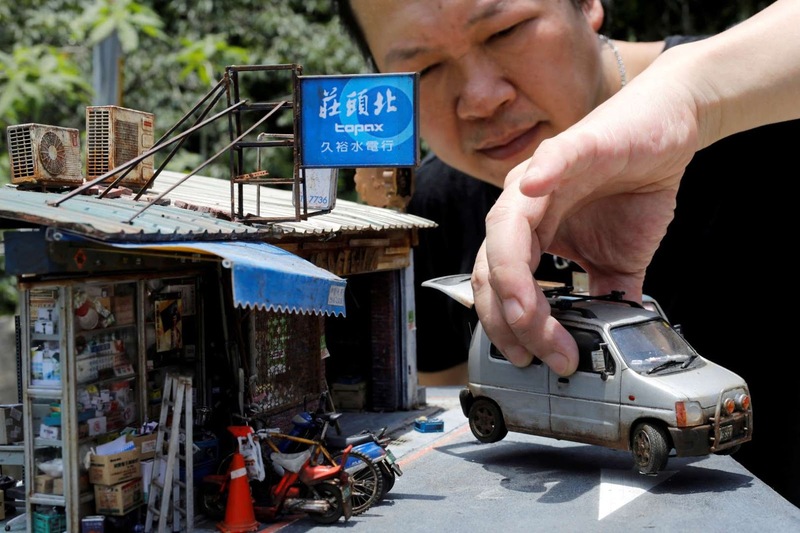 Taiwanese artist Hank Cheng poses with his miniature model of Taipei street scenes, in New Taipei City, Taiwan. 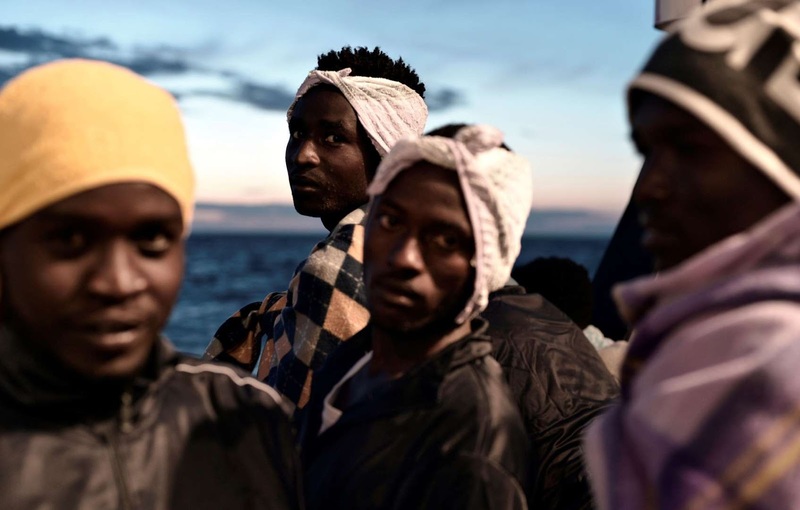 Migrants are seen as they stand on the deck of MV Aquarius, a search and rescue ship run in partnership between SOS Mediterranee and Medecins Sans Frontieres on their way to Spain. 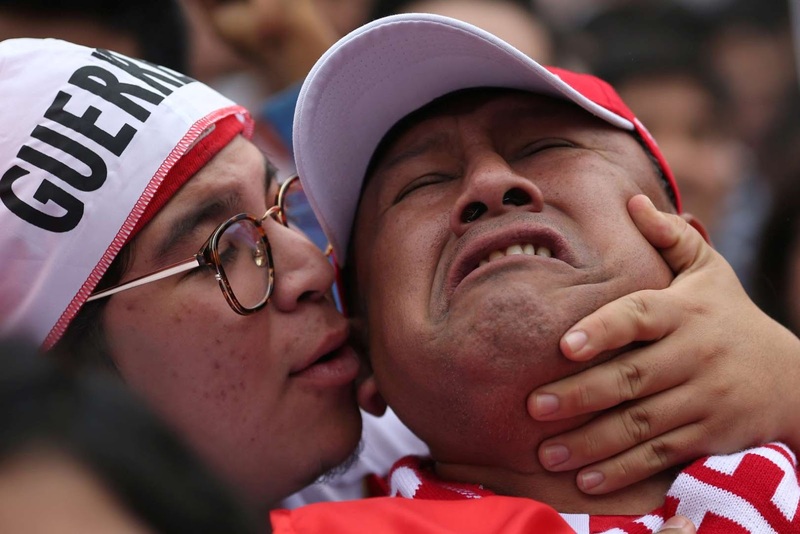 Peru's fans react during the match against Denmark as they watch the public broadcast at city's square. 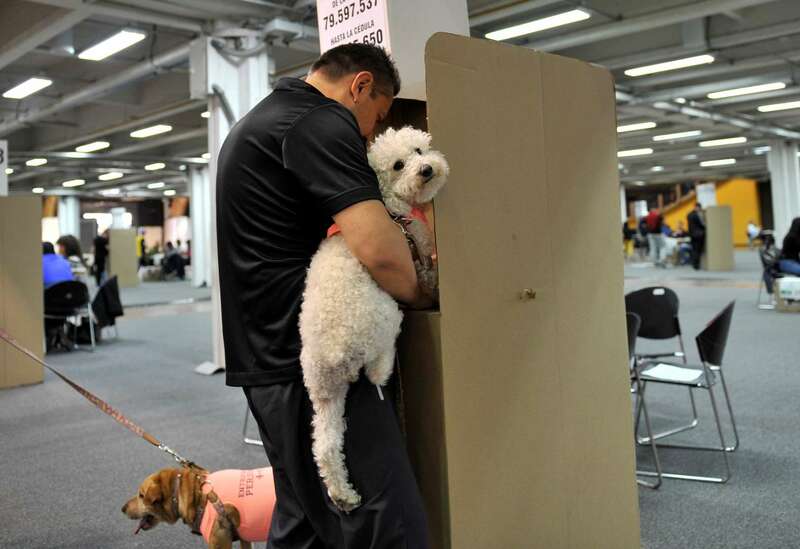 A man holds his dog while casting his vote at a polling station during the second round of the presidential election in Bogota, Colombia. 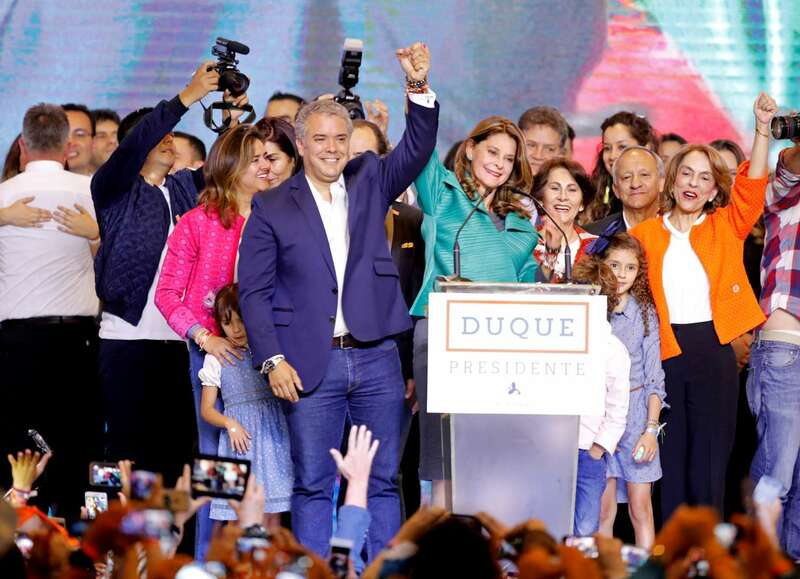 Presidential candidate Ivan Duque and his candidate for Vice President Marta Lucia Ramirez celebrate after he won the presidential election in Bogota, Colombia. 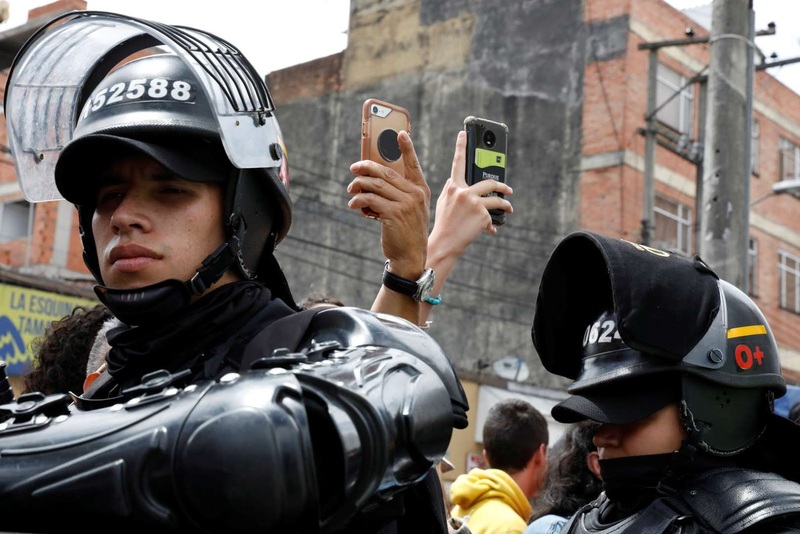 Supporters raise their cameras while trying to snap pictures outside the polling station where Colombian presidential candidate Gustavo Petro was voting during the second round of the presidential election in Bogota, Colombia. 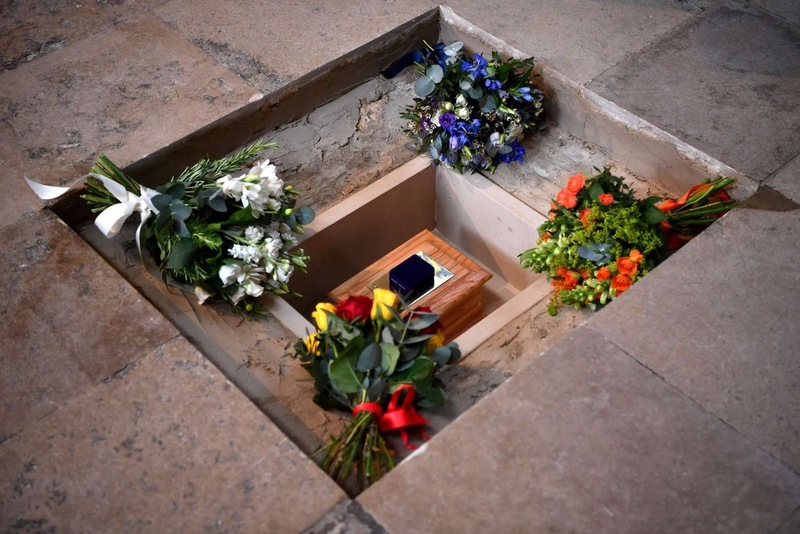 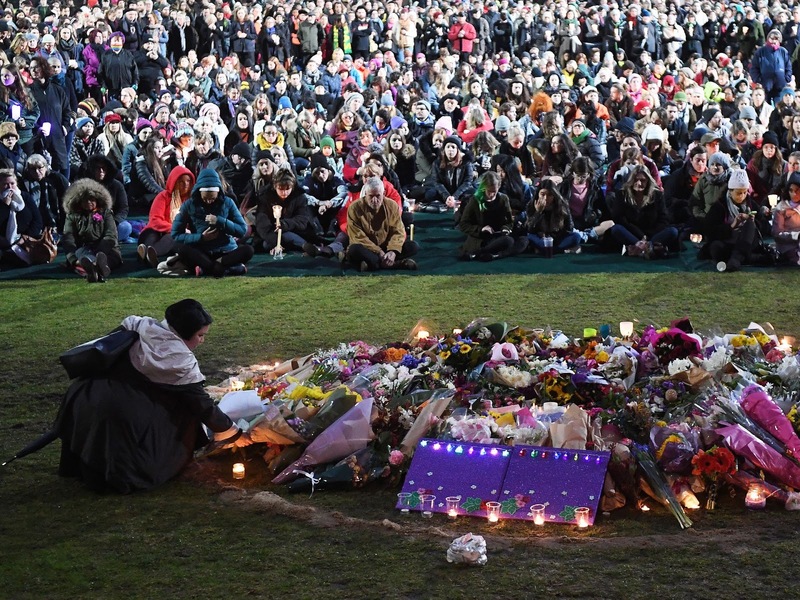 Flowers are placed alongside the ashes of British scientist Stephen Hawking at the site of interment in the nave of the Abbey church, during a memorial service at Westminster Abbey, in London. 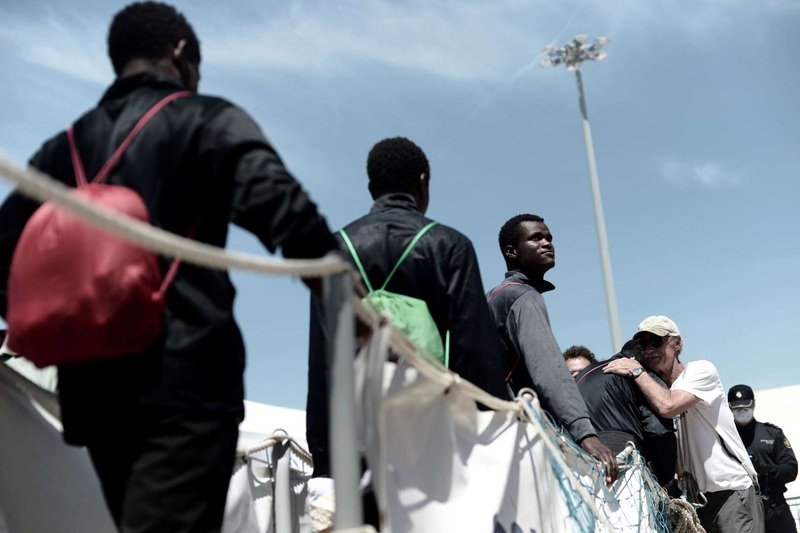 Migrants disembark from the Aquarius rescue ship after arriving to port in Valencia, Spain. 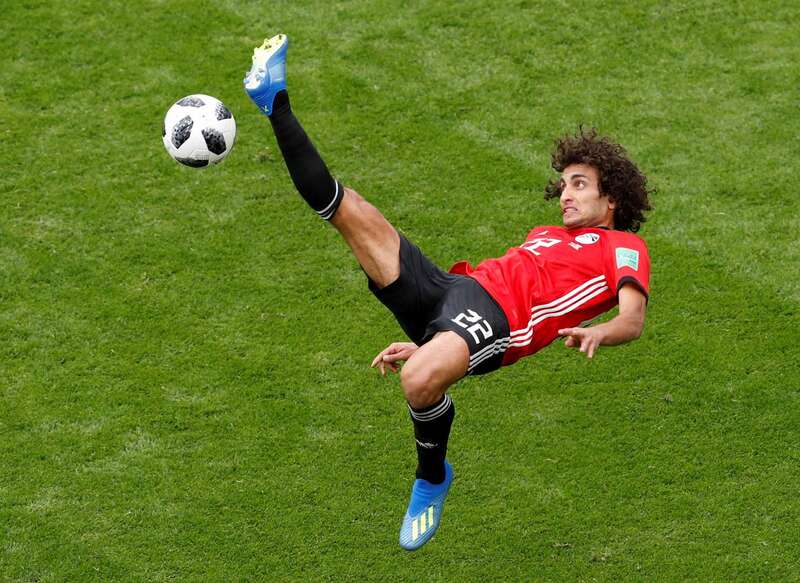 Egypt's Amr Warda falls on the pitch against Uruguay. 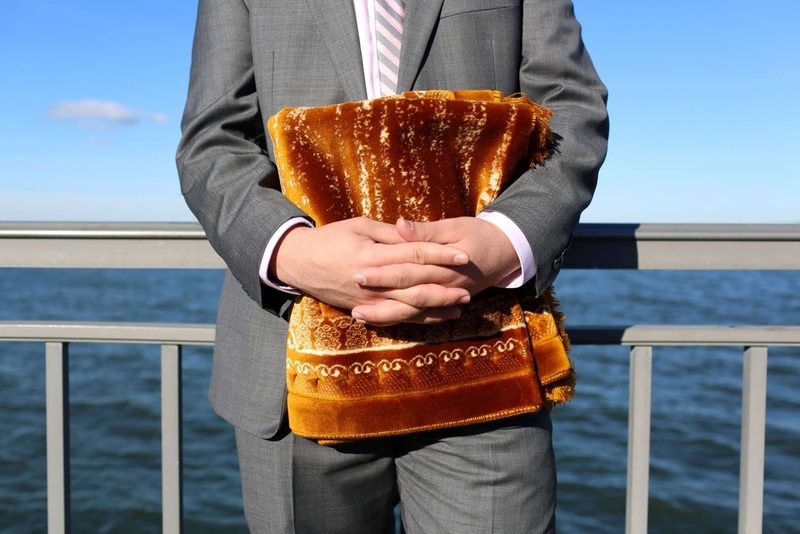 A Muslim man holds his prayer mat at Bensonhurst Park ahead of Eid Al-Fitr prayers to mark the end of Ramadan in Brooklyn, New York. 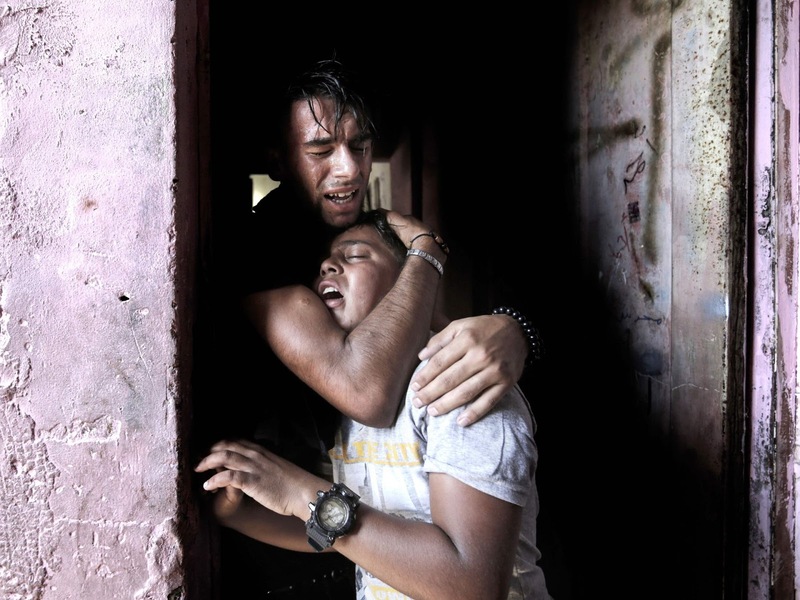 Peru's Andre Carrillo reacts after missing a chance to score against Denmark. 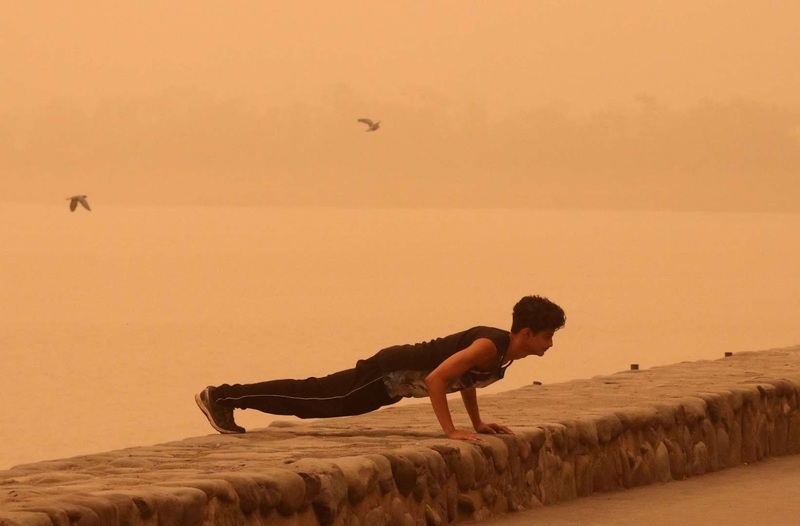 A man exercises amidst haze and dust near Sukhna lake in Chandigarh, India. 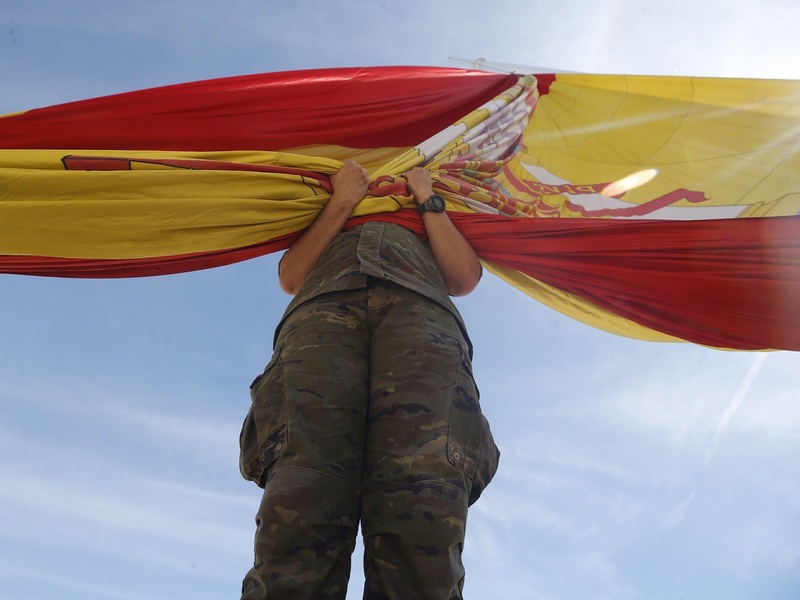 Portugal's Cristiano Ronaldo celebrates scoring their second goal against Spain.